This past summer, Dr. Catriona Steele was invited to present Dysphagia workshops in China and Korea as part of the BFE Learn From the Best initiative. Dr. Steele is a scientist and Director of the Swallowing Rehabilitation Research Laboratory at the Toronto Rehabilitation Institute. Her teaching experience includes face-to-face and web-based University courses, and many workshops and invited lectures across North America, Europe, China, Japan, New Zealand and Australia. The workshop in China was hosted by Dr. Zulin Dou, Director of the Department of Rehabilitation Medicine at Sun Yat-sen University in Gunagzhou and Dr. Hongmei Wen, Ph.D. in Neurology and associate professor in the Department of Rehabilitation Medicine at the Third Affiliated Hospital of Sun Yat-sen University. Dr. Dou is also the author of the book Assessment and Treatment of Dysphagia for which Dr. Wen has written the section on sEMG. Dr. Steele presented her half-day workshop on evidence-based practice in swallowing assessment and Dysphagia rehabilitation with a focus on sEMG biofeedback to 70 physicians and therapists. 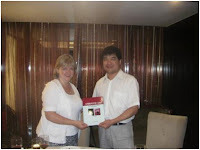 Earlier in the day, she had the opportunity to consult with Dr. Wen on several challenging cases and looks forward to the potential of future collaboration with Dr. Dou, whose interests include the use of biofeedback in psychology and continence/pelvic floor muscle rehabilitation as well as Dysphagia. Special thanks to the hosts for their warm welcome and for having the presentation materials translated to Chinese. We would also like to thank Vish Medical for its financial support of this event. 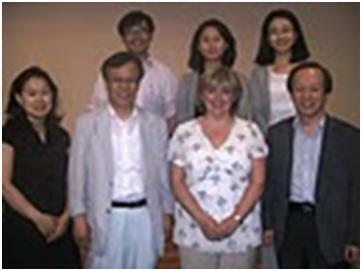 Dr. Steele’s workshop in Seoul was graciously hosted by Miseon Kwon, Ph.D., CCC-SLP, Research Professor, Dept. of Neurology, Asan Medical Center, University of Ulsan College of Medicine and was sponsored by the Korean Association of Speech Language Pathologists (KASLP). Also present was Dr. Do-Heung Ko, a prominent researcher in speech science and president of the KASLP. The half-day workshop was attended by 200 Speech Language Pathologists. Sincere thanks to the Dr. Kwon for providing a superb translator and for all her work to make the day a success. We would also like to thank Thought Technology for its sponsorship of this event. Dr. Steele teaches several BFE online classes on Dysphagia. During monthly “grand rounds” sessions participants are offered the opportunity to present case studies to the group and to consult with Dr. Steele. Click here for more information on the Dysphagia software suite and online classes. Interested in Learning More About Treating Depression? During this lecture, Dr. Swingle will discuss the use of Neurotherapy in treating clients with depression and will address how conditions often considered untreatable by conventional health practitioners respond positively to neurotherapeutic treatment. 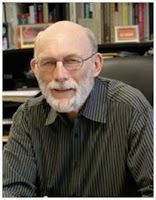 Paul G. Swingle, Ph.D., is a Fellow of the Canadian Psychological Association and was a Lecturer in Psychiatry at Harvard Medical School from 1991 to 1998. Professor Swingle was Chairman of the Faculty of Child Psychology at the University of Ottawa from 1972 to 1977, and Clinical Supervisor from 1987 to 1997. He has also taught at McGill University, Dalhousie University and McMaster University. He is a Registered Psychologist in British Columbia and is (BCIA) Certified in Biofeedback and Neurotherapy. Since 1997 he has been in a private practice in Vancouver, British Columbia. His most recent book, "Biofeedback for the Brain" (2008), was published by Rutgers University Press and has just been released in paperback. This webinar, as well as the others in the series, is open to health care practitioners as well as the general public. To register, visit the Events page of our website. To view our press release, click here.